Keep an eye on the present with the future in mind. 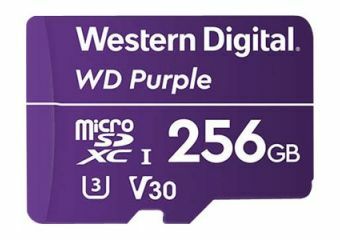 WD Purple™ microSD cards feature exceptional endurance to ensure continuous recording for up to 2 years. Record through it all. Humidity-resistant WD Purple™ microSD cards endure temperatures from -25C to 85C to help capture uninterrupted surveillance footage through extreme weather conditions and climates.